British Airways have unveiled a new outdoor execution in Piccadilly Circus, London. 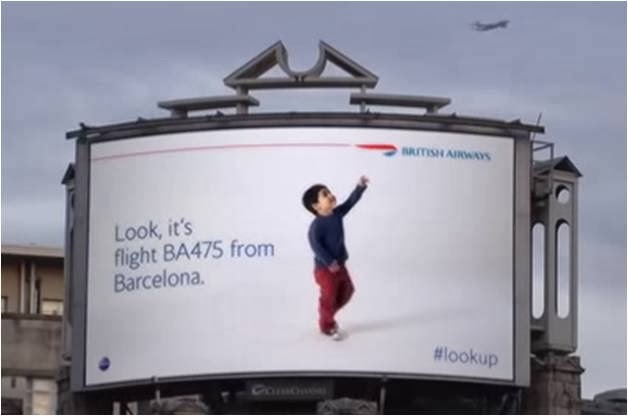 Called 'LookUp' (#lookup) the digital creative on the poster sees a child point to the sky and announce the flight number of the plane flying overhead! A clever fusion of data and creative, this British Airways #lookup poster shows how traditional formats can be turned into real-time displays once data and digital are added.